Could Macron-economics fuel EU growth? Pro-EU centrist candidate Emmanuel Macron was elected as France’s new president – a welcome boost for supporters of the EU. His defeated opponent, Marine Le Pen, intended to implement a far-right agenda, which could have brought greater economic turmoil to the trade block, compounding the effects of the UK’s decision to exit the EU. The Netherlands’ anti-EU candidate, Geert Wilder, was also defeated in elections during March. The EC sees the EU economy expanding 1.7 percent this year – up from the 1.6 percent forecast in February – with growth increasing to 1.8 percent in 2018. Economic stability is of utmost importance to those investing in major capital projects – a key driver of heavy lift and project cargo transportation opportunities. 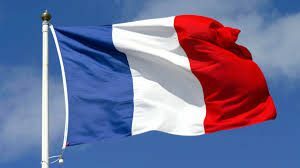 A key consideration for the newly elected French president is France’s energy transition law, said S&P Global Platts. Macron campaigned to reduce the share of nuclear power in France’s energy mix, boosting renewables and enhancing energy efficiency. Lucie Roux, senior specialist, European gas and power at S&P Global Platts said: “A victory for Macron as president can also be seen as a victory for natural gas.” Macron wants to honour France’s energy transition law to cut nuclear’s power share to 50 percent, which leaves space for gas and renewable capacity, Roux added. An increase in the number of new power projects would be a welcome development for those moving heavy and oversize cargoes to and within France.